It's small and insignificant to some, it wouldn't be noticed by most. I saw it almost immediately, only a few flecks but they were there, no mistaking them. I pointed them out to my husband, my mum and to Bubba herself, no one found it as significant as I do and each one of them had to check for themselves. Bubba even studied her face in the mirror and slowly smiled at me in wonderment. 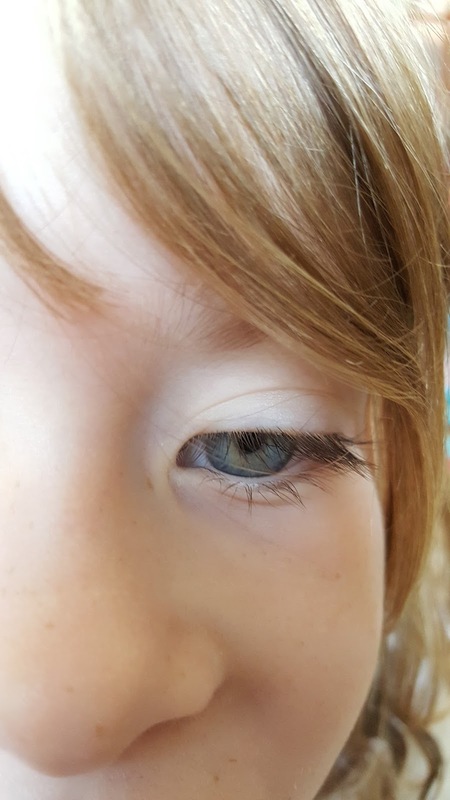 My baby girl, the little face I have studied constantly these past five years is changing and I watch as her eyes cloud over when she's sad or her brow furrows when she doesn't quite understand. I know that face better than my own, I could tell you in detail for hours on end what it's like, every small detail. Across her tiny nose (almost identical to mine) there is a sprinkling of freckles that are trickling onto her cheeks. Little cheeks that get rosy red when she's hot or cross with me, pale and clear until now, It's as if she's been kissed by a fairy and the magic dust is left behind. 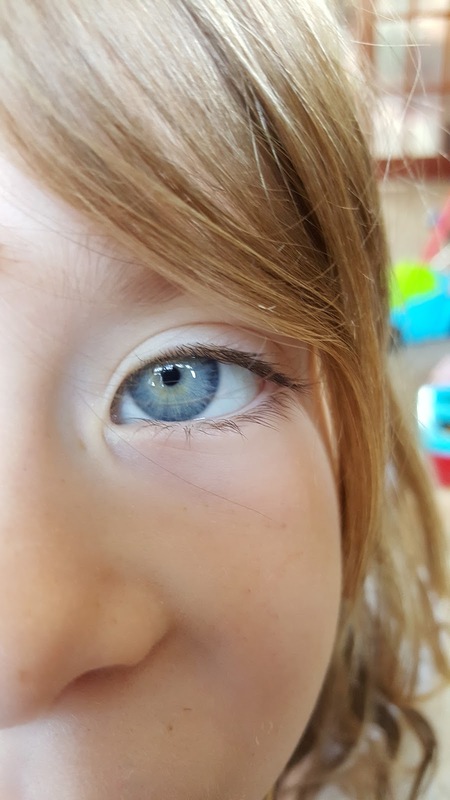 I am both excited and worried about these changes, it's as if it's my own face and until now I've known every mole or where her first chicken pox scar is (just above her eyebrow and to the left of her nose if you are wondering), her eyes have a ring of almond brown and the same flecked blue pupils as mine. But these freckles have a life of their own, I too have freckles but these aren't mirrored by mine...she's changing right before my eyes.